We connect to the people around us. We connect to nature. We connect to ourselves. No matter if you are only leading yourself and your own life, or are the head of a large corporation - the impact you have on other living beings around you plays an important role in life. What impact do you have and how can you change it? What kind of relationships do you want to have with your family, your team, your business colleagues -and your horse? How do you develop trust and mutual respect? Let the horses tell you the truth! Everyone has their own leadership style. With the help of the horses you will be more aware of your personal style and how you can use it for your benefit and for a better relationship with others. Through working with the horses you gain new insights into your own personality. A horse mirrors your body language, your feelings and whether you are true to yourself and your believes. They need to feel respected, but also trust you and feel your energy. If you are compelling, a horse is going to willingly follow you, and so will the people! Get out of your comfort zone and learn how to communicate more effectively, how to get tasks done effortlessly, and how to maximise your impact to get what you want. Join me for one of my seminars to feel true connection and what it means to be a great leader. 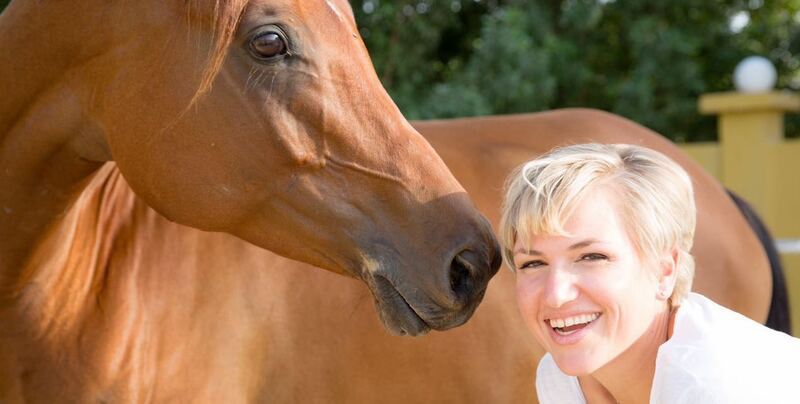 For details about my Corporate Horse Assisted Courses in Dubai, click here. Get in touch to arrange a short meet and greet session before booking. If you have never been around horses, I will introduce you to these generous animals so you can get a feeling if this seminar is for you.